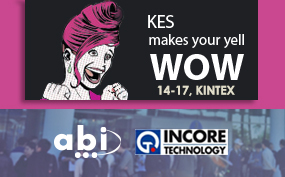 ABI distributor in South Korea INCORETECH will be at KES 2015 displaying ABI´S full range of products incluiding brand new MIS4. The Korean Electronic Show literally shows the modern and future electronic and IT industry of Korea from the perspective of industry and suggests the direction in which the industry will head towards. It is a specialized exhibition of electronics and IT which is a feast of cutting edge technology that leads global trends.